Are appropriate in almost any application where vehicles and/or pedestrians need to be controlled. The standalone system is operated by 24VDC power. 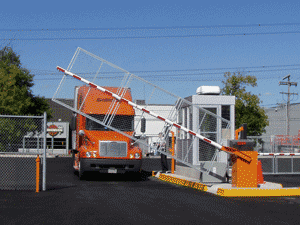 No hydraulics are incorporated in this automated gate entry system. In addition, built in battery backup prevents security lapses during power outages. 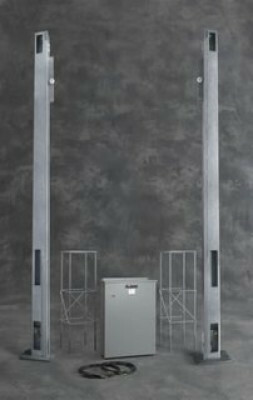 The vertical pivot lift gate operators require very minimal preventative maintenance to keep them functioning properly. The ultimate combination of high security and speed. HydraLift locks fortress tight without additional hardware. 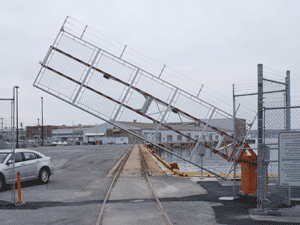 Lifts an eight foot gate in eight seconds for quick in and outflows. Hydraulics and controls contained securely in posts and remote panel. 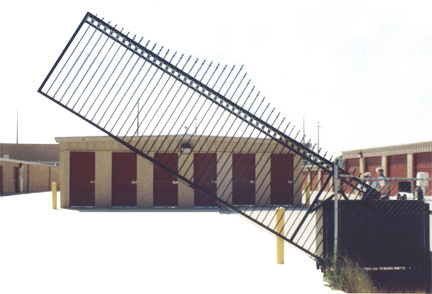 Also suited for sites where additional space for swing and slide gates is unavailable.